How can we make sure everyone has access to this life saving science? Should we? 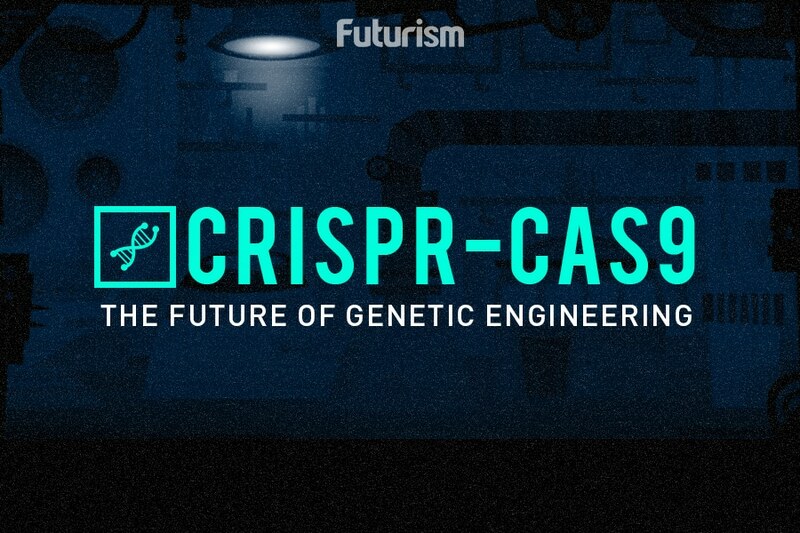 CRISPR, a gene editing tool, is at the heart of numerous new medical treatments and technologies. Some of the incredible uses of CRISPR we’ve seen in the past year alone include editing phages to kill antibiotic-resistant bacteria; targeting cancer’s “command center” in mice, boosting survival rates from 0 to 100 percent; repairing the gene defects that cause sickle cell disease; and copying the T-cells of naturally HIV-immune individuals. However, even as CRISPR moves toward clinical trials and practical use, its future remains unclear. This is due to the extreme cost of CRISPR treatments; most people simply cannot afford them, and whether insurance carriers will pay the tab is uncertain. Some insurance companies have already implemented no coverage policies for gene therapies; the American healthcare system is ever-changing, and it’s seeming increasingly likely that these extremely expensive therapies might be out of reach even for people with insurance. StatNews reports that oncologist and author Dr. Siddhartha Mukherjee, who wrote the bestseller Emperor of All Maladies, told the American Society of Clinical Oncology in spring that the world would soon be divided “into the rich who can afford personalized cancer treatment and the poor who cannot.” The case of Glybera, a gene therapy infamously called “the most expensive drug in the world,” adds more credence to this concern. At a whopping $1.4 million per patient, Glybera was sold only once in Germany, abandoned in the EU, and never came to the US market due to its cost. Much of the issue arises as we try to treat and cure rare diseases, which the United States defines as diseases that affect fewer than 200,000 people and the European Union defines as one that affects fewer than 1 in 2,000 people. However, cumulatively, rare diseases effect an estimated 25 to 30 million Americans, and there could be up to 7,000 rare diseases. The tension comes at the nexus between multiple market forces: drug companies who want to invest in research and profit from their investment; insurance companies who must maximize profit for shareholders while insuring as many people as possible; governments and leaders with different policies about intervention into the system; scientists who may have independent interest in conducting research but must find a way to fund it; and patients (some with insurance, some without) who are interested or, in some cases, desperate for treatments and cures. How to relieve the tension and allow science to progress in the best way for the most people is a difficult question, but various experts have ideas. University of Alberta law and policy expert Tania Bubela suggests to StatNews that insurers should be allowed to reimburse drug companies for gene therapies before they receive FDA approval, requiring them to amass more data before increasing drug costs to full price. Another partial solution might be to grant CRISPR licenses one gene at a time rather than issuing exclusive patents on tools like CRISPR. Other creative intellectual property strategies have been proposed by the Rare Genomics Institute. Pediatric oncologist Stuart Orkin and Phillip Reilly, a Third Rock Ventures partner, along with FDA commissioner Scott Gottlieb, advocate for spreading insurer payments to companies out over years of time contingent upon the drug’s continued performance, a sort of annuities structure; this would recognize the value in paying for even expensive drugs rather than years of care and treatment for expensive diseases. Some form of government intervention is probably inevitable, according to most experts. The US Orphan Drug Act, for example, facilitates the development of treatments and drugs for rare diseases; Orkin and Reilly argue that funds from the Act could pay for gene therapies. The 2009 Biologics Price Competition and Innovation Act made generic biologics, called biosimilars, possible. However, generic forms of CRISPR are not likely to come for decades. Where does this leave us?